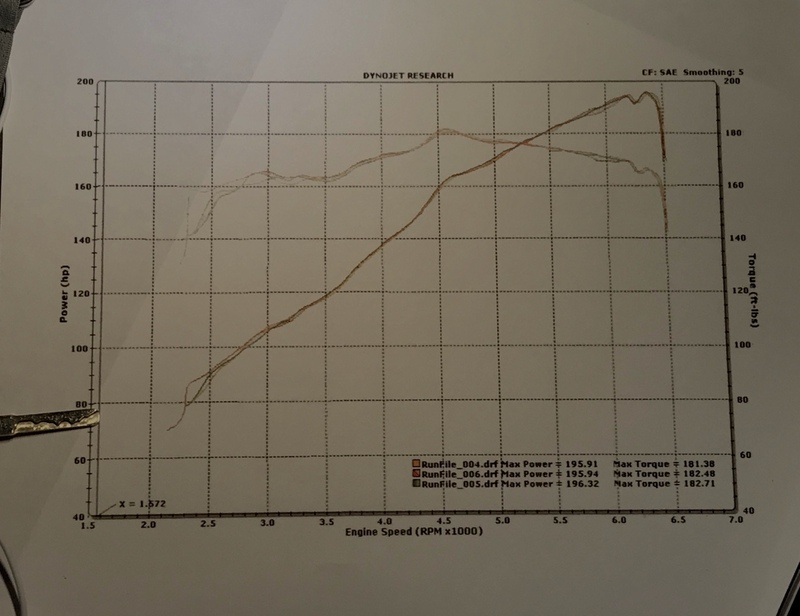 Car was mechanically stock with the exception of the K&N drop in filter and 93 octane. Car is a DCT. Last edited by _RED_; 04-16-2013 at 12:22 PM. Last edited by _RED_; 09-07-2017 at 06:07 PM. Last edited by _RED_; 09-07-2017 at 06:13 PM. All tests done in 4th gear. 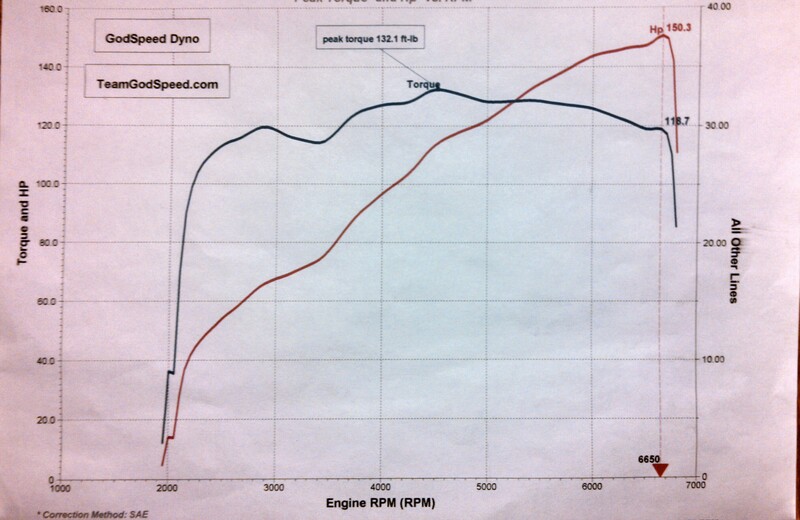 DynoJet dyno. I'm still not quite confident in these numbers. Last edited by _RED_; 09-07-2017 at 06:12 PM. 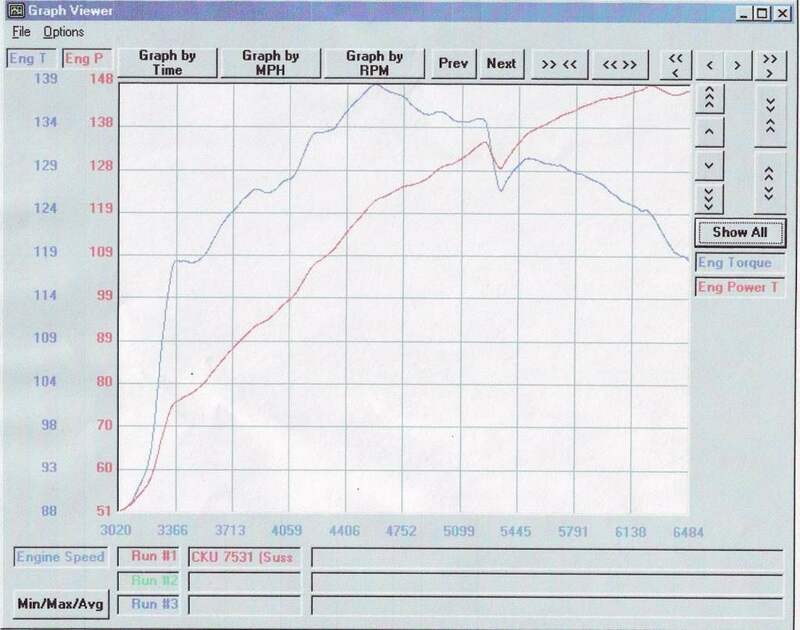 Dyno jet was used for testing. Weather was 85f with 70% humidity. 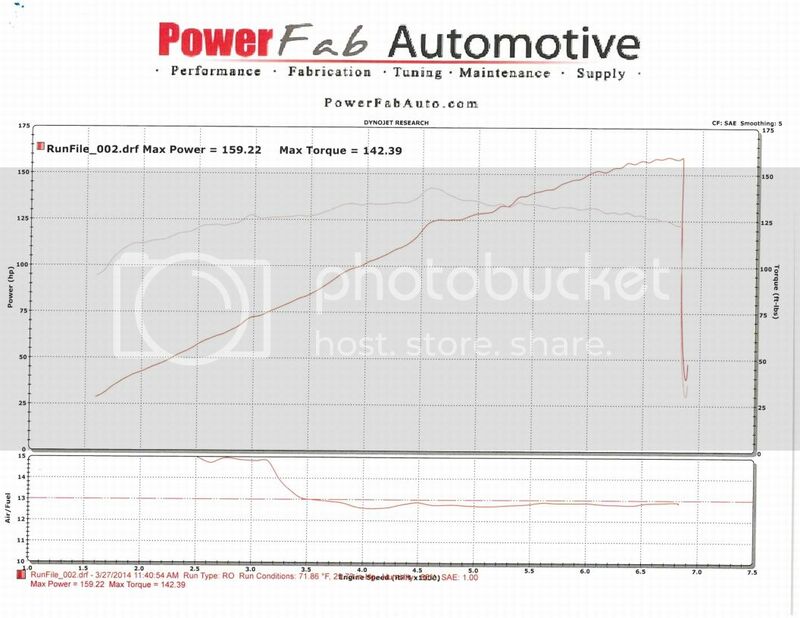 "We started with the injected tune and steeda intake, then we took it back to 100% stock, followed by just the injected tune." Last edited by _RED_; 10-15-2016 at 08:39 AM. Ford Racing snorkel, new mission intake tube, Mountune openended filter with cap, Airaid box extention, Larger TB, ngk plugs, JLT valve cover OCC, 180 thermostat OBX catless header, Custom built 2.5" exhaust (Vibrant ultra quiet resonator, magnaflow dual exit, custom made 2.25" restrictor plate mid way), TTR PSMM and DSMM, Torque Solutions RMM, Tom's custom tune, select shift converted. 1turbofocus, ELCouz, FFhb13 and 3 others like this. Last edited by _RED_; 09-06-2017 at 07:27 PM. 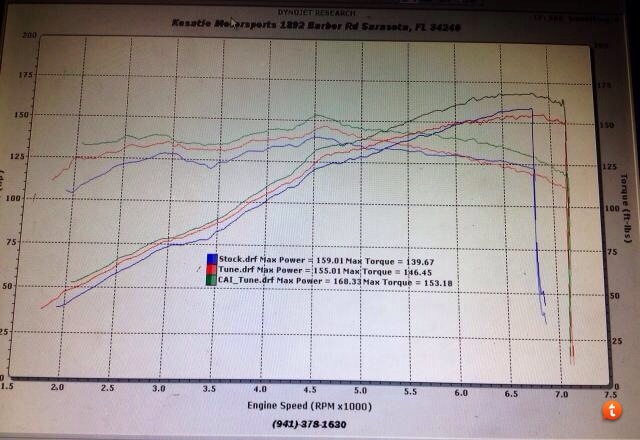 Modifications - 3" Thermal R & D catback, mustang 63mm Throttle body, green filter and stock airbox, snorkel delete, Devil Tuned. ccap41 and Drovira14 like this. Last edited by _RED_; 10-26-2017 at 01:53 PM.